Brandon Turkus March 15, 2018 Comment Now! Ford unveiled its plans for the future at a press conference Thursday in Dearborn, Michigan, and announced a sweeping push toward electrification, crossovers, trucks, and SUVs—many with a performance bent, hybrid powertrain, or in some cases, both. “Being frozen in the past is a death sentence in this business,” Ford CEO Jim Hackett said. Ford’s shift to taller vehicles will take on a decidedly off-road vibe, with the Bronco leading the charge. 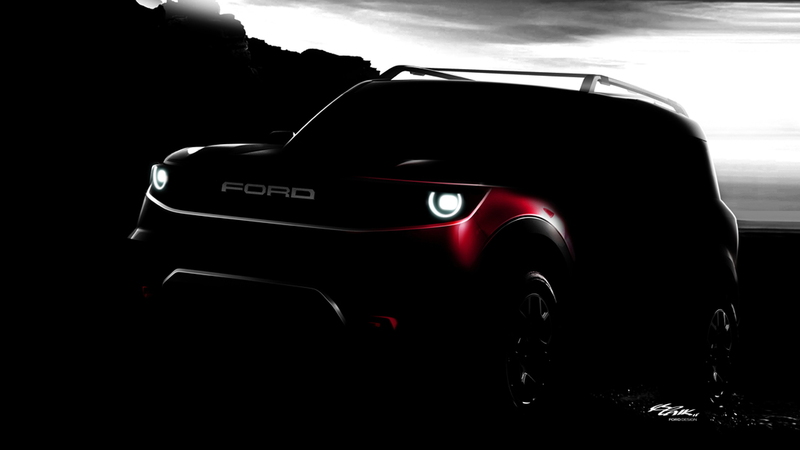 Ford confirmed Thursday that its long-awaited off-roader will get a baby brother, an unnamed vehicle that gives the automaker a two-pronged attack against Jeep. 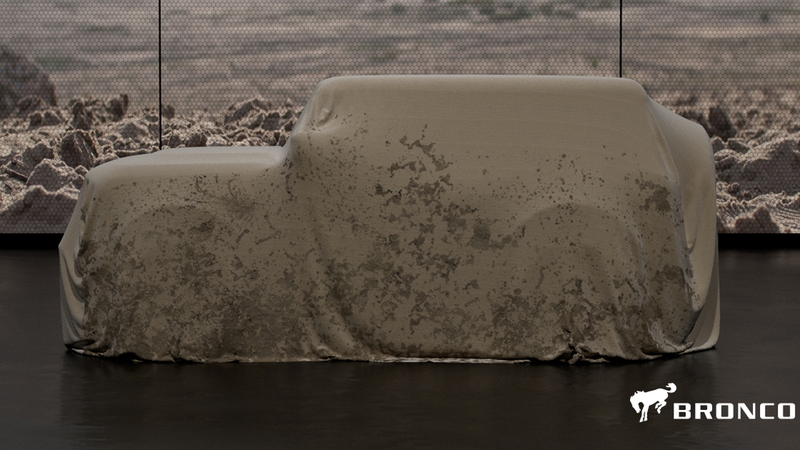 The smaller offering, introduced in a shadowy teaser image, should challenge Jeep’s Renegade and Compass in terms of off-road ability. On the traditional SUV front, there’s reason to be excited, too. Ford’s next-generation Explorer will come with a sporty ST variant. Like the new Edge ST, the Ford Explorer ST should be an updated take on the old Sport trim, with twin-turbocharged power, uprated chassis and brake equipment, and a more aggressive aesthetic. We’ll soon see Ford introduce electrified versions of the F-150 and Mustang, already announced, along with hybrid or plug-in hybrids based on the Explorer, Escape, and Bronco. That’ll happen as soon as 2020, with Ford targeting six performance utility battery-electric vehicles by 2022. “So, every time we launch a utility in North America our intention is to have a hybrid—that’s a hybrid, plug-in hybrid or—in some cases—both,” Farley said. In the F-150’s case, hybridization will bring improved fuel economy and low-end performance to the new truck when it arrives in 2020, according to Ford. But on top of that, the F-Series hybrid will also introduce a built-in generator, according to President of Global Operations Joe Hinrichs. As for the Mustang, Ford promised that the hybrid powertrain would offer "V-8-like performance" but with the low-end grunt that's standard with an electric motor. 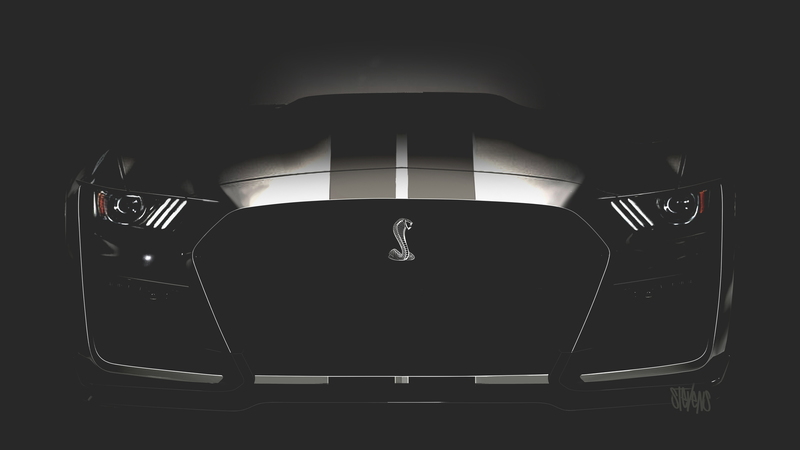 Ford executives didn't detail the Mustang's future hybrid powertrain, but it's likely to arrive for 2020. Also coming in 2020 will be an all-electric performance SUV, potentially wearing the Mach 1 badge, which was announced in January at the North American International Auto Show. But while these changes are easy to spot, Ford is making a big push under the skin of its products, moving from individual platforms to scalable architectures. Instead of traditional platforms for its products, Ford will scale back to five modular setups––a rear-drive unibody, a front-drive unibody, a body-on-frame for trucks, a commercial van unibody, and a battery electric platform. While spotting Ford's move toward electrification will be easy, these changes in the Blue Oval's bones will have a bigger impact that's more difficult to spot.